Developer Niantic's hit AR-based mobile title Pokemon Go is gearing up for its next series of special events. As revealed through the official Pokemon Go website, players in Europe will be able to take part in a number of special Safari Zone events starting on September 16, each of which offering the chance to capture rare creatures like Shiny Pikachu, in addition to revealing specific dates for a number of other events planned in October. When And Where Do The Next Pokemon Go Safari Events Take Place? Pokemon Go fans won't have to wait long, as the next Safari Event is set to kick off the weekend after next. On September 16, players will be able to get together at Unibail-Rodamco Shopping Centers in Oberhausen, Germany, Les Quatre Temps in Paris, France, and La Maquinista in Barcelona, Spain. As with other Safari Zone events, these spectacles will allow trainers the chance to meet up within team lounges for the chance to earn special in-game medals as well as special 2 km Eggs. Earning these rewards will require players to make use of a number of local Pokestops where unique Lures will be active all day, drawing in Pokemon like Chansey, Kangaskhan, Larvitar, and others. There's good news for trainers trying to track down Shiny Pokemon, too -- Niantic has revealed that players have a chance to spot a Shiny Pikachu, a Shiny Magikarp, and different forms of Unown throughout the event. With that said, the team will be deactivating all local Gym and Raid Battles throughout the event "in order to optimize the experience for all Trainers attending." Keep in mind that in order to participate, attendees must be over the age of 13 with a current and valid photo ID. Tickets are free, and can be reserved through links found on the Facebook pages for local Unibail-Rodamco shopping centers. For those that can't make proper attendenance, Niantic has stated that some of the event's rarer Pokemon will be available outside of the shopping center but within city limits. How Many More Safari Events Are Planned For This Year? 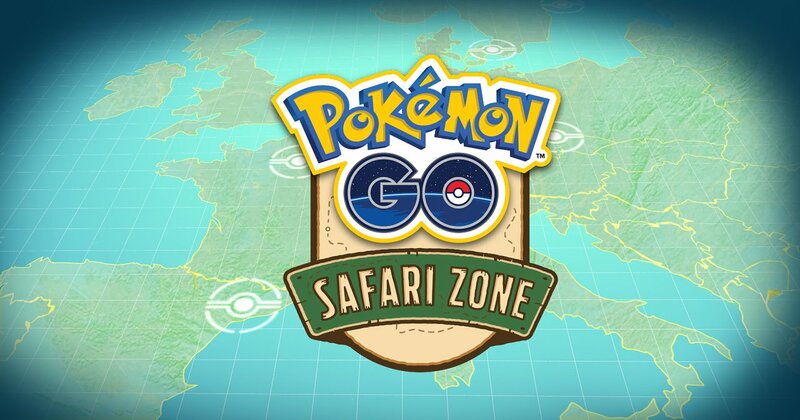 After the weekend of September 16, players across the European continent can expect Safari Events to pop up later in October. Fisketorvet in Copenhagen, Denmark as well as Centrum Černý Most in Prague will play host to special Safari Events on October 7, while the Mall of Scandinavia in Stockholm, Sweden and the Stadshart Amstelveen in Amstelveen, The Netherlands, will play host to similar Safari Events one week later on October 14. More information about activities as well as ticket sale opportunities will be appearing soon, and the Pokemon Go team invite interested participants to check out the Facebook pages for the event's shopping center venues in order to discover updates and stay on top of the latest information. Don't get left behind -- stay on top of Pokemon Go by checking out all of the exclusive strategies and how-to guides we've got featured on our Pokemon Go tips and tricks guide hub.